Let me start my saying, this is the first actual [physical] book I have read in years. Since getting my e-reader I always get e-books, so this book was enjoyable on many levels. I liked that it was small enough to fit in my purse – I take whatever I'm reading with me everywhere. I will say the print was a little small for me, I'm used to being able to enlarge it on the e-reader. I have always loved Dolly and I have never read any books on her or by her, so everything was new to me. I thought she was fantastic before I read this book, now I just think she is phenomenal. I was at my grandparents’ one night for dinner and was telling them about the book. They didn't know some of this stuff either; my grandpa wants to read it next. There are so many things covered in this book, even recipes are given. One thing I would have liked was actual pictures. Dolly is such a wonderful, caring, and giving person, she makes everyone smile and feel loved. I was throwing out random facts while reading one night and something I never knew was Dolly started a production company with Sandy Gallin, and the company co-produced Buffy the Vampire Slayer and Angel – two of my husband's favorite shows – and now he loves Dolly and thinks she's a genius! LOL. This was a fast, fun read that I loved. 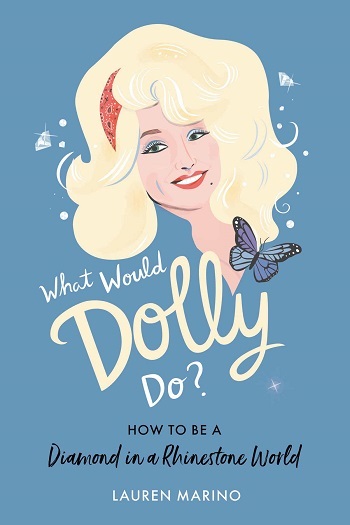 Reviewers on the Wicked Reads Review Team were provided a free copy of What Would Dolly Do? : How to Be a Diamond in a Rhinestone World by Lauren Marino to read and review.